To provide relief to a choked Bengaluru busting at seams, Karnataka Chief Minister H.D. 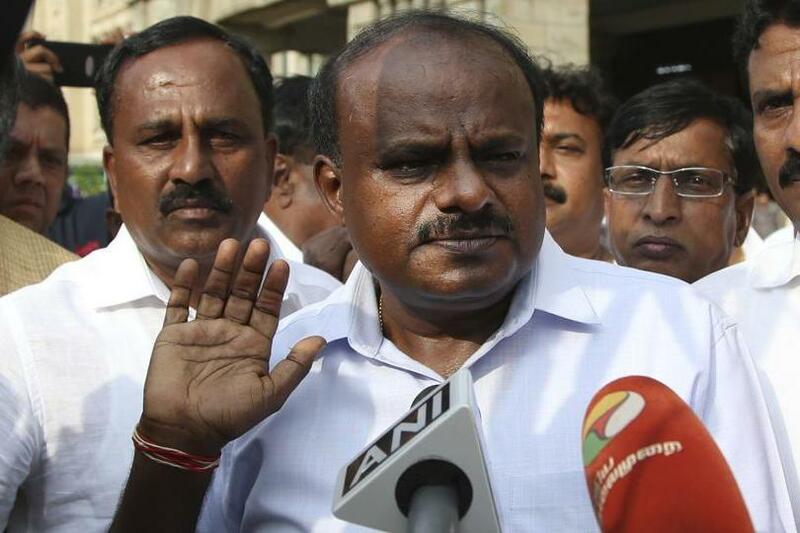 Kumaraswamy on Friday told investors to set up their manufacturing units or services centres in tier-2 cities across the southern state. “I appeal to investors to locate their industries or services centres beyond Bengaluru in tier-2 cities like Mysuru, Hassan, Mangaluru, Hubballi, Belagavi and Kalaburagi for uniform development and job creation,” Kumaraswamy told about 100 chief executives of the IT and biotech industry here. Interacting with the heads of IT and BT sectors at a meeting on the 21st Bengaluru Tech Summit (November 29-December 1), the Chief Minister said his government was committed to encourage investments and job creation in tier-2 cities and towns for all-round growth of the state. “I have committed to invest Rs 500 crore in the state budget for fiscal 2018-19 to set up skill development centres in tier-2 and tier-3 cities across the state for training our youth, graduating from higher secondary schools and colleges,” he asserted. Assuring the state government’s support to the captains of the industry, Kumaraswamy said he would set up a special cell in his office for speedy approvals and enhance the ease of doing business in the state. “As announced in the state budget on July 5, industrial clusters will be set up in some districts under the ‘Compete with China’ programme to make farm machinery at Bidar, solar equipment at Kalaburagi, electronic toys at Koppal, garments at Ballari and ALED bulbs unit at Chitradurga,” said Kumaraswamy. As the state is well known for innovation hub, the state government will set up a Karnataka Innovation Authority through a legislation in the next assembly session to encourage innovation and entrepreneurship, including floating start-ups. State Major Industries, IT, BT, Science & Technology Minister K.J. George said on the occasion that the JD(S)-Congress coalition government would support the growth of IT and BT sectors in the state. State Social Welfare Minister Priyank Kharge said the state government would soon initiate a programme on rural entrepreneurship for uniform growth in the state. Karnataka IT vision chairman and Infosys co-founder S. Gopalakrishna, Additional Chief Secretary E.V. Ramana Reddy and IT & BT Principal Secretary Gaurav Gupta participated in the meeting.